This is something that any knife user can understand and appreciate. 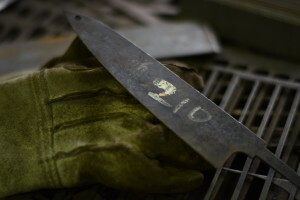 Any experienced user will recognise the quality of a Masakage knife and the unique high quality steel used in making the blade. 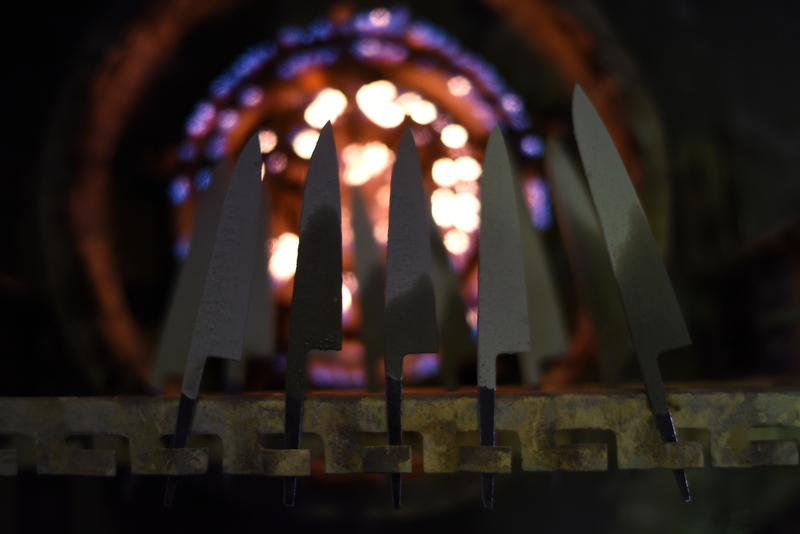 These blades are hammered to perfection together with impeccable heat treatment to make the strongest blade possible. 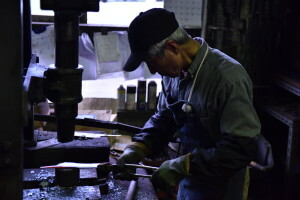 Hammering of the steel is done to refine the grain structure in the blade, this makes it stronger and harder. Masakage blades are produced by Artisan knife makers who master the best knife making skills and incorporate beautiful design patterns in the blades. 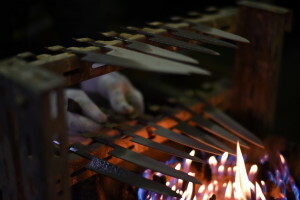 Each and individual blade is made and finished by hand using traditional methods which go back 800 years. 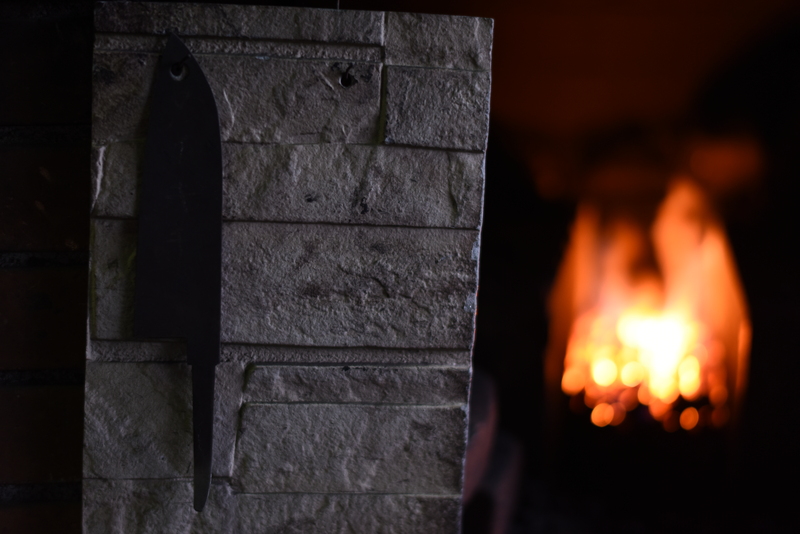 The making of the Masakage knife relies on skill and experience rather than the use of technological equipment. Every single blade is sharpened by master knife sharpener Shibata San, one of Japan finest knife sharpeners.The blade is perfectly ground to make it thin behind the edge. And out of the box sharpness is among the best. 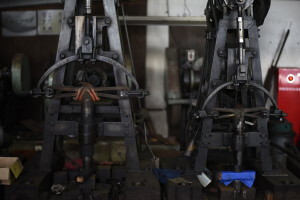 A lot of thought goes into the final profile and shape of the blade for better usability, ergonomics and balance. The concept in Japanese Cuisine is; cooking is second to cutting this means that knife skills are primary over cooking skills. Where as in the French cuisine it is the contrary where junior chefs do most of the cutting. In Japanese cuisine the sushi chef/master is the highest regarded chef. Their knives are the most important kitchen tool. Japanese chefs believe by using knives their soul goes into it. If you look at handmade Japanese knives compared to other industrial made knives on the market, hand forged Japanese knives are extremely good value for money. Here at Artisan Knives we follow mainly the Yuki, Koishi and Kumo series. 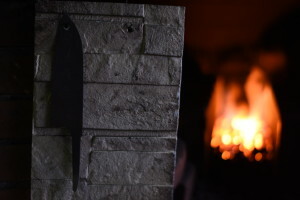 However if you see any other knife on www.masakageknives.com that you would like to purchase we can order that for you. 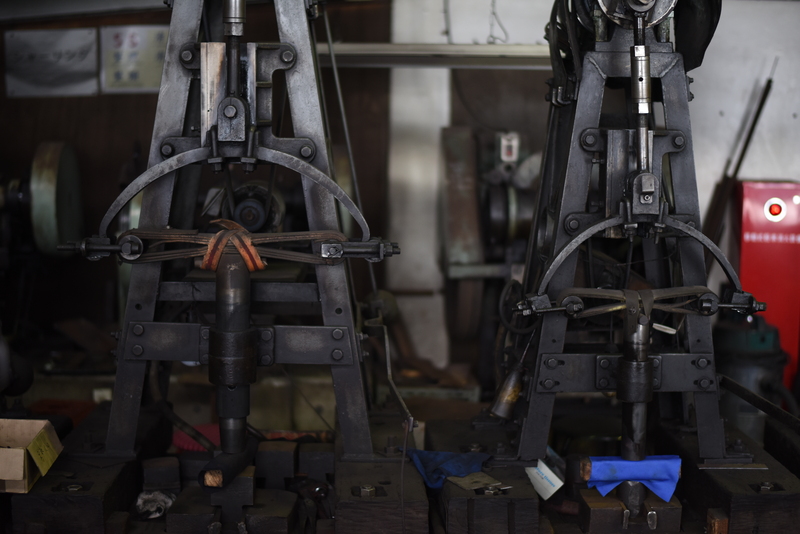 Visit the Masakage website to find out more about their craftsmen and the Masakage advantage. Besides offering these knives to the New Zealand market we provide follow up care. At some point these knives need to be sharpened. 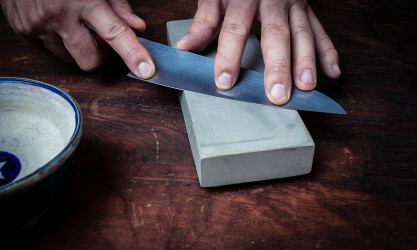 Artisan Knives can bring them back to out of the box sharpness as Tom has been trained by Masakage’s Shibata San.